Rural Immigrant Connect launches its first pilot case. Over the past few years, the number of human beings fleeing horrifying violence in parts of Central America and Mexico for the U.S. has escalated dramatically. In 2014, the number of women crossing the U.S. border multiplied by more than three times compared to 2013, while the number of separated or unaccompanied children reached over 66,000 in 2014, up from an average of 6,775 children in the years 2003-2011. This stream of refugees fleeing Central America and Mexico has not ceased, and many arrive in California on a daily basis. Image explaining to clients how Rural Immigrant Connect works. Unfortunately, arriving in the U.S. is only half the battle — not only do immigrants face constant worries about family left behind, but many are placed into deportation proceedings in immigration court, where even very young children are not guaranteed a lawyer. It’s even worse for immigrants who reside in California’s Central Valley, a region with few legal organizations offering services within its vast geographic expanse. The need for innovative models to connect pro bono attorneys with immigrant clients in rural California has never been greater. Through a generous Equal Justice Works fellowship sponsored by the law firm Fenwick & West LLP, OneJustice recently launched the project Rural Immigrant Connect, putting technology to creative use by connecting pro bono attorneys in the Bay Area with immigrant clients in need in the Central Valley. Rural Immigrant Connect addresses the dearth of legal representation for low-income immigrants in the Central Valley by tapping the resources of the Bay Area and Silicon Valley, home to law firms and corporations that can provide an incredible amount of resources to serve Central Valley clients. To bridge the geographic gap, the project uses videoconferencing for the majority of communication between pro bono attorneys and clients, following an initial in-person meeting. In addition, OneJustice places laptops at community organizations in the Central Valley to provide clients with easy access and in-person technology support. Thanks to the wonderful work of Fenwick & West LLP attorneys Vikram Iyengar and Rajendra Panwar with support from Partner Lynn Pasahow and the mentorship of Director and Immigration Attorney Emily Abraham of Social Justice Collaborative, Rural Immigrant Connect took on its first pilot case this spring — leading the way for the marriage of pro bono and technology to bridge the justice gap for immigrant communities throughout the Central Valley. 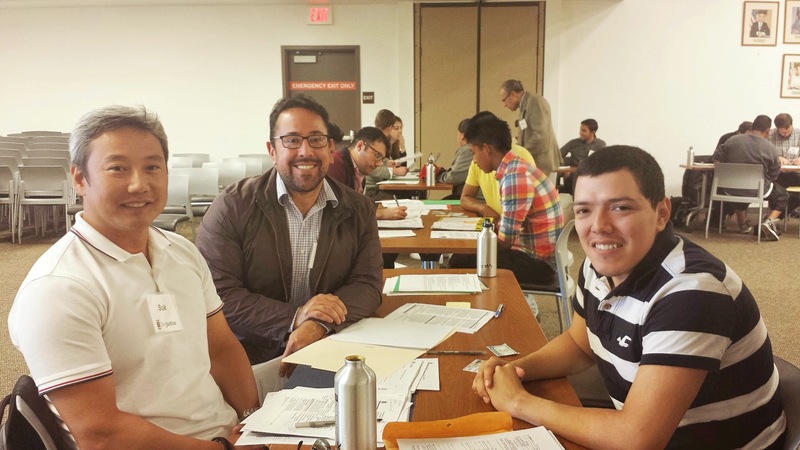 Rural Immigrant Connect is more than simply a means through which we can connect more Central American and Mexican refugees in the Central Valley with vital pro bono legal representation. This innovative project also provides us with a means of gathering data regarding the efficacy of videoconferencing to demonstrate a model that can be replicable throughout the U.S. A project like this can bridge the often daunting urban-rural divide separating many rural low-income communities from access to affordable legal services. Rural Immigrant Connect is at its core a collaborative project that has only been made possible through incredible partnerships with legal services organizations Social Justice Collaborative and Centro Legal de la Raza; community organizations El Concilio and Centro La Familia; the law firm Fenwick & West LLP; and national organization Equal Justice Works. Thanks to the dedication of pro bono volunteers like Vikram and Rajendra, partnerships like those mentioned above, and the collaboration of the OneJustice network, we can work together to bring help, hope, and justice to individuals escaping the violence that continues to plague our neighbors in parts of Mexico and in regions of Central America. Image explaining to pro bono attorneys how Rural Immigrant Connect works. To view the full infographic presented above, please click here. Renée Schomp is an Equal Justice Works Fellow sponsored by Fenwick & West LLP and Staff Attorney at OneJustice. She currently spearheads the Rural Immigrant Connect project in California’s Central Valley. 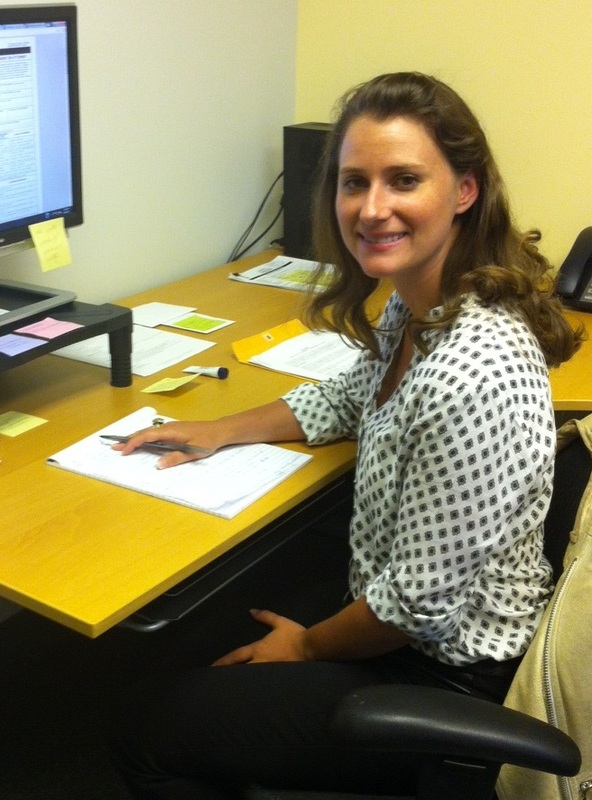 Our very own legal fellow tells us what motivates her to do this work each and every day. We are excited to announce a new project sponsored by Fenwick & West LLP (and our 2015 Exclusive event sponsor), spearheaded by our very own Renée Schomp, Equal Justice Works AmeriCorps Legal Fellow. We asked Renée to share with all of you this wonderful new project she’ll be tackling next year! To be honest, some days I could really use a bit of inspiration such as these words. This is because the need for legal services is so incredibly overwhelming–particularly among the rural immigrant population with whom I commonly work—and the resources for low-income clients so sparse, that I often find myself fighting what feels like an unwinnable battle. To give you an idea of what I’m talking about, California has the largest immigrant population in the fifty states (10.3 million) and currently houses over 3 million undocumented immigrants, nearly 700,000 of whom are children and youth under age 24. In November 2014, the Obama Administration sought to improve the lives of over 5 million undocumented immigrants in the U.S. through an expansion of the Deferred Action for Childhood Arrivals (DACA) program and the implementation of the Deferred Action for Parents of Americans and Lawful Permanent Residents (DAPA) program. In California alone, over 1.5 million undocumented immigrants would be eligible for at least temporary relief through these programs. At the moment, however, their implementation has been temporarily halted by a preliminary injunction. All that said, I have another source of inspiration and that is working for an organization that finds innovative ways to progress when progress seems impossible. OneJustice’s award-winning Justice Bus Project and Rural Justice Collaborative programs provide as many as eight legal clinics per month in rural and isolated California communities throughout the state–where we serve clients who would likely otherwise receive no assistance at all. Our clinics leverage the talent of teams of attorney and law student volunteers from urban regions such as the Bay Area and Los Angeles to assist rural-based clients with a wide range of civil legal needs, including those related to DACA, citizenship and general immigration. In September 2015, I will begin a new project focused solely on serving immigrants in three rural counties with a particularly high number of undocumented immigrants and a dearth of legal services–San Joaquin, Stanislaus, and Merced Counties. About 115,000 undocumented immigrants live in these three counties alone, and poverty density is high. This project is being made possible through the support of an Equal Justice Works fellowship sponsored by the law firm Fenwick & West LLP. The project will build a network of pro bono attorneys to provide full-scope representation to immigrants living in these rural counties. This project will be a part of the continued expansion and growth of the Bay Area Rural Justice Collaborative project, part of the Association of Pro Bono Counsel (APBCo) IMPACT initiative and a collaboration of legal services organizations and law firms that strives to increase access to legal services in isolated communities through free limited scope legal clinics staffed by pro bono attorneys. 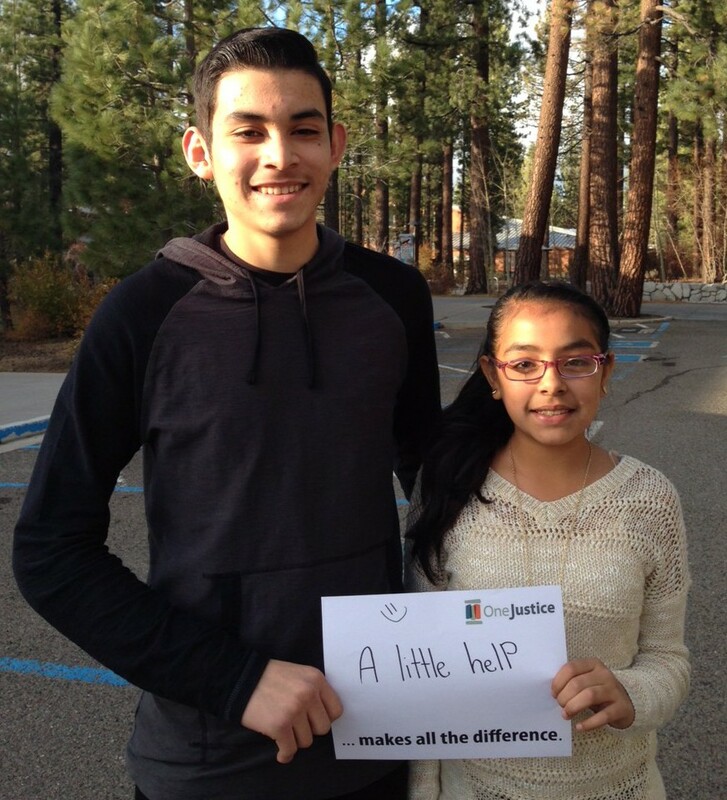 This Central Valley immigration project builds upon OneJustice’s already-existing work with Immigration Legal Resource Center (ILRC) on the Immigration Pro Bono Network, which was developed as a means of creating a universally-employed training and certification program regarding DACA for pro bono volunteers. Through this program, we have been collecting and analyzing data from our DACA clinics in order to gauge the efficiency and effectiveness of pro bono volunteers. Beginning in the fall of 2014, the Immigration Pro Bono Network also responded to the expanded DACA and DAPA programs by holding multiple convenings of stakeholders in the legal field interested in developing an effective, wide-reaching pro bono response to these new immigration programs. The funds raised at our annual Opening Doors to Justice event on June 25 will be 100% allocated to make the Immigration Pro Bono Network a reality. When we achieve our goal of raising $50,000 in one evening, OneJustice attorneys will be able to provide regional training, support, and coordination to deploy private sector volunteers in the Bay Area and Los Angeles – two of the highest areas of need in the state. In addition, OneJustice will develop a pilot project serving three high need rural counties — Merced, Stanislaus, and San Joaquin — with local clinics and virtual connections to urban volunteers. P.S. 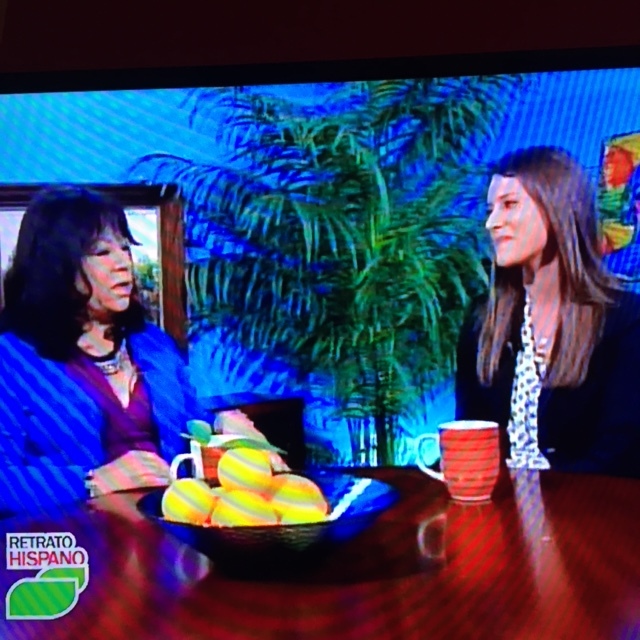 Check out this neat clip of Renée! What’s in the news: California is suffering from a drought. What doesn’t make the news: too many veterans are living in legal services deserts. The Justice Bus Project reaches low-income veterans in rural counties across California. 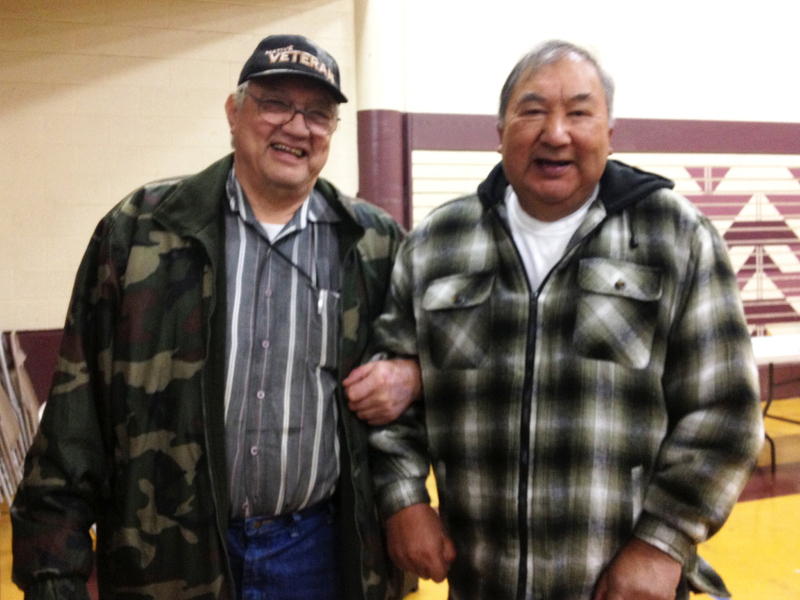 The veterans pictured here were served at the Hoopa Valley Tribe community in Del Norte County. Bear with me on these numbers and you’ll be amazed. In California, 30.7% of veterans are disabled, but only 15.7% receive the compensation and pension the Veterans Administration (“VA”) can provide them. This means that half of the disabled veterans in the state of California do not receive veterans’ benefits! So where are the veterans who need support – and where are the lawyers who can provide it? I’ll wager a bet that when most of you think about low-income California veterans who probably need legal support, you think of folks living in places like Skid Row or the Tenderloin. And you would not be far off: the highest number of California veterans living in poverty are in fact concentrated in cities like Los Angeles and San Francisco. But the truth is, there are also many lawyers – both corporate and non-profit alike – who live in these urban meccas. So while the legal needs of low-income urban veterans are high, there are a number of lawyers nearby who can help them. But the many veterans who live in rural towns and the countryside throughout the state of California lack even the most basic access to lawyers who can help them apply for, say, those vital VA benefits. I imagine you’ve heard of a “food desert.” Well, California’s rural veterans live in legal services deserts. (If not literal, dust-on-your-boots deserts.) There are too few lawyers in rural parts of California to help the many low-income people who live there. California’s rural veterans are living in legal services deserts, and they are thirsty for legal support! 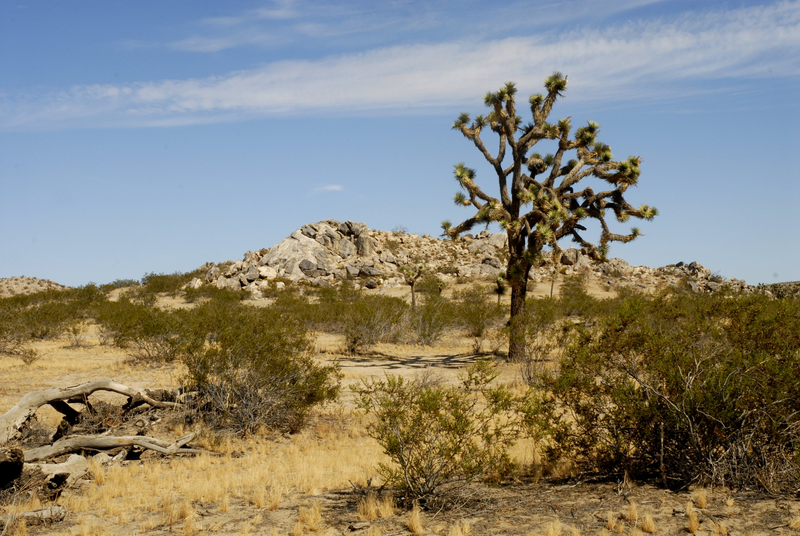 So, how do we get lawyers to California’s legal services deserts? OneJustice’s Justice Bus Project focuses on narrowing the justice gap that exists where California’s rural, low-income communities confront a dearth of legal services providers. We have found that tons of law students and lawyers who work at firms and corporations in California want to partner with rural legal services nonprofits to work, pro bono, to serve those in need. So we literally put pro bono lawyers and law students from California’s urban centers on a bus and drive them out to rural areas of California to provide free legal services to underserved individuals. And that is what we’re doing now that we’ve realized that there are so many veterans who need help with their veterans’ benefits claims, among other legal issues. It’s not a quick fix – and there are plenty of other obstacles just waiting to confront our veterans – but ultimately it’s a simple solution to what is, really, a simple problem. So we’re hitting the road to reach those veterans. We’ll see you on the freeway! Renee Schomp is an Equal Justice Works AmeriCorps Fellow and a proud participant in Equal Justice Work’s national Veterans Legal Corps. At OneJustice, she is responsible for leading Justice Bus Trips throughout Northern California, working to bring attorney and law student volunteers from urban areas to serve isolated communities. This blog is cross-posted on the Equal Justice Works Blog.